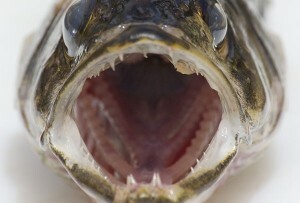 Saginaw Bay walleye were caught northeast of the Spark Plug in 24 to 26 feet. Off Linwood, those using orange and silver or orange and gold spinners on harnesses caught fish in 20 feet. Walleye were still in shallow waters four to six feet off Finn Road in the early morning but were moving north and east of the Spark Plug when the sun comes up. Walleye were caught in the Slot between Oakhurst and Fish Point when using purple and chartreuse spinners on harnesses. Those bow fishing are taking carp and longnose gar. Tittabawassee River they were still getting a few walleye along with a good number of white bass in the lower river between the Center Street launch and M-46 however the river turned high and muddy after all the rain. Au Gres Area some walleyes were caught right off the river mouth in 25 to 35 feet but most boats were running south of Pointe Au Gres to fish around Buoys 1 & 2 and along the “Humps” northeast of the buoys. Au Gres River was slow except for a few catfish, carp and freshwater drum caught on crawlers or cut bait. On the East Branch, a few anglers were surfcasting for walleye at night. Oscoda walleye are still trickling in and the fish are decent size. 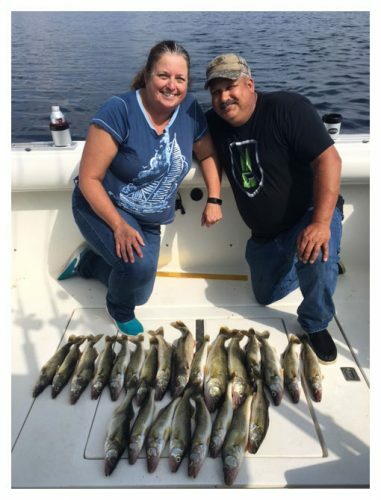 Pier anglers are drifting crawlers with slip bobbers, casting body baits or jigging. Trout and salmon were caught in 80 to 100 feet. Lake trout seem to be the most abundant but a few Chinook were also caught. Steelhead were running near the top of the water column and hitting on spoons, cut bait, body baits and wobble glows. Tawas Area pier fishing was slow with only a few catfish, pike and smallmouth bass caught in the bay. Night anglers might be getting a few walleye. Those trolling spoons in 35 to 50 feet did find some lake trout. Fishing for catfish in Michigan can be quite a fun experience! 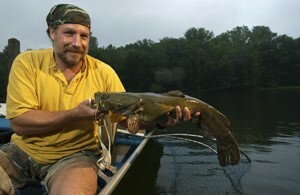 There are two common types of catfish in Michigan – channel and flathead. There’s one main difference with fishing for the flathead than other catfish species – anglers often use live baitfish when pursuing them, unlike the various earthworms, shrimp or various stink-bait concoctions many catfish anglers use. Flatheads tend to live in slow-flowing rivers where they typically inhabit deep holes. Veteran flathead anglers often pursue them at night, fishing on the bottom in the leading edge of the hole or on the flats upstream. Large minnows, small sunfish or cut suckers are preferred baits. Summer is the most popular season to fish for flatheads – what better time to get out and try your luck! 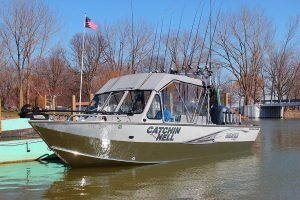 For more information on fishing for catfish, check out their page on the DNR’s Michigan Fish and How to Catch Them website.